RUSH: The iPhone X was released for pre-order at a minute after midnight Pacific time. And after two or three minutes if you didn’t get your order in the soonest you’re gonna one delivered is five, six weeks. So I’ve got these iPhone 8 Pluses here, and, I figure, I’m gonna start giving some of them away, because, even if you’re waiting on a X and you happen to get through here, you should accept the offer of the 8 Plus. It’s free, and you can use it until your X arrives if you’ve ordered one. If not, see what you think about it. I’m telling you, it is the best cell phone in the world right now. Outside of the X. And the X, nobody has it yet, so technically it’s still the best cell phone in the world. It’s just an amazing improvement. The problem is it looks like last year’s and the year before, but it is stunningly improved. Battery life, I’ve never seen anything like it. The camera and the effects that can be done with this camera, the identical things you can do in the iPhone X. In fact, I have a theory. Do you all know what decoy pricing is? Steven here just mentioned capitalism, and capitalism has many, many, many brilliant aspects. And one of those brilliant aspects in the hands of people that know what they’re doing is pricing. And I think that the iPhone 8 and 8 Plus are decoys this year. Let me explain it with a different subject than phones. Let’s take a magazine that offers a print edition and an online edition. So there’s two different ways that you can have this magazine, but they offer three prices. The first price, $59 for print edition only. The second price, $159 for the print edition and the Web version. And the third price is $159, same price, for only the Web version. So you’ve got two prices and three products. So your question is, what are they really trying to sell here? They’re trying to sell a combo print and Web, but how do they make that price look effective? Very simple. $59 for the print only, $159 for the Web only, or $159 for the print and Web. What are you gonna choose? The odds are you’re gonna choose the Web because you think you’re getting a deal. By having the Web only version priced the same as the print and the Web, the psychology is you’re gonna take the price that gets you both of them, because you think you’re saving big, so the decoy in those three is the Web version only at $159. Well, in the case of the iPhones, you have last year’s iPhone 7 and 7 Plus, which were just dynamic, great phones, but they have been reduced in price this year by a hundred to 150 bucks. Then you have the iPhone X, which is the new phone, and it’s the first phone that costs a thousand dollars. The iPhone 7 is around $750. In the middle is the iPhone 8. And the iPhone 8 costs what the new iPhone 7 and 7 Plus did last year, plus $50. They’ve priced the iPhone 8 as fairly close to the iPhone X ’cause it’s almost as good, but it doesn’t have a couple key things, the full screen and the Face ID. And my theory is that the iPhone 8 and 8 Plus are the decoys and that what Apple is actually trying to do sell is more iPhone 7s and iPhone Xs, ’cause they know they’re gonna sell the X. And I think I’m right because early analytical data suggests that the iPhone 7 is outselling the iPhone 8. Now, the tech media is a bunch of idiots and doesn’t understand what I just told you, so they’re looking at the iPhone 8 as an abject failure. It had no chance up against the iPhone X. The iPhone 8 had no chance the way it was priced. The iPhone 7, if you don’t want to spend a thousand dollars on the X, you’re gonna go to the 7. It’s exactly what’s happening. The iPhone 8 is the decoy. And they’re selling the hell out of iPhone 7s that are a year old because of the price differential between that and the X. Now, here’s what is gonna happen next. As the supply-demand equilibrium gets into gear, we get to the point where you can walk in an Apple store and buy an iPhone X ’cause they got enough of them in stock, you don’t have to wait five or six weeks to get one. 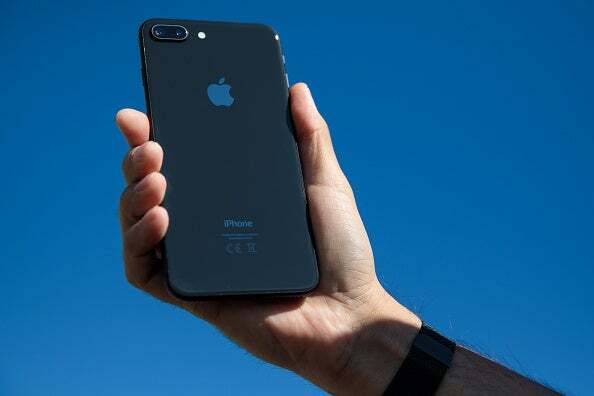 At that point the iPhone 8 is gonna start moving off the shelves, because the iPhone 8 is going to be the next best thing you can get, if you can’t afford or don’t want to spend a thousand dollars on a X.
I think it’s brilliant. I think decoy pricing is brilliant in its psychological scope. It doesn’t work all the time, but in that example I gave you of magazine subscriptions, guaranteed. In fact, it’s an actual example from The Economist. What I gave you is an actual example of decoy pricing from the British magazine The Economist. They started with print only — nobody buys print only unless you’re 75 years old. Print only for $59.95. Web only, $159. But Web and print, same price, $159. Guess what sells? 80% of the sales are print and web. The decoy is the $59 print-only price. Anyway, I gotta take a break. Or you might say the decoy is the $159 Web-only price, but with two products and three prices, one of them is a decoy. It’s the same thing here with the iPhone X and the iPhone 8. 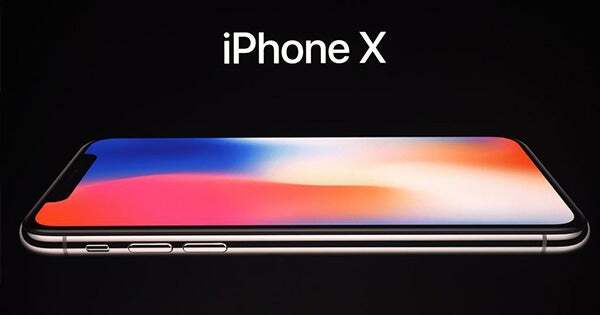 The 7 is what people who don’t want the X are gonna buy ’cause it’s so much cheaper than it was last year, and the word is the 8’s not that much better, even though it really is. But you notice Apple’s not promoting the 8. Not yet. They want to sell the 7’s. They got a bunch of them made. They’re in inventory. It’s brilliant stuff.